The only thing that would make this better would be if Johnny Depp and Alan Rickman were fighting over which one got to make me a present of it. A WRITING PROMPT FOR YOU: What would your main character consider the greatest item ever sold? This entry was posted in Caturday. 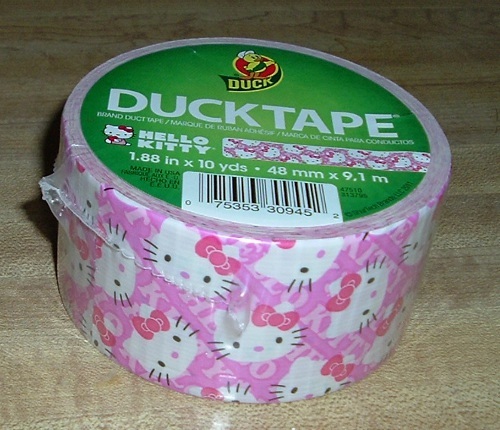 Tagged Duck Tape, Hello Kitty, utter perfection.